Rob Hardwick Archives | HU17.net – It’s all about Beverley! Craig Littlefield has become the Champion of Champion’s at Beverley conservative Club. 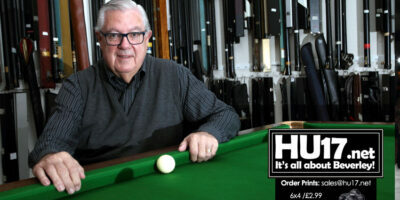 Littlefield scored the most points within the year to scoop the prestigious local snooker title. Richard Brook was crowned Champion of Champions as he scooped the top award at the Beverley Conservative Club Presentation Night.